Living Word Outreach Ministries welcomes you to come visit us! We would enjoy having you visit our church and will treat you like family. We have ministry programs available that you are free to join as well as community outreach programs. We are a loving church and are looking to increase our membership to endeavor what God has for us. We welcome people to come and celebrate with us our Lord and Savior Jesus Christ. If you are just in town for the weekend or just moved to the area, come by. We would love to have you stop in. See you soon! Come and join in the fun as we worship and praise the Lord at Living Word Outreach Ministries! We are happy and excited to celebrate our love for Christ through song and are looking to grow our Music Ministry. Contact us today for more information on how you can be a part of this amazing praise team! ﻿Women's fellowship is every 2nd Wednesday at 6:00 pm. Our annual Women's Day Service is coming up this August. Last November, we enjoyed an amazing and enlightening trip to the Holy Land park in Orlando, FL. It was so much fun! This ministry program has so much to offer. If you are curious about it, just ask! Catch up on your inspirational reading! If you need some quiet time and want to do some Christian reading, come by our library see what is available. 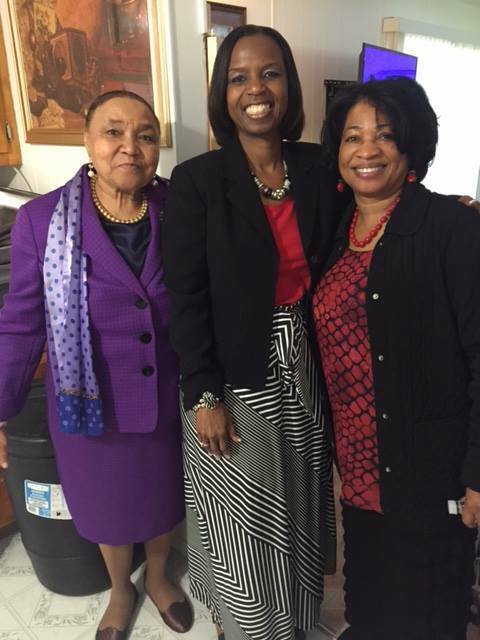 Living Word Outreach Ministries recently celebrated its 1st Annual Women's Prayer Breakfast on Saturday, April 9th of this year. The Take the Mask Off theme was a hit! God was with us and reminded us just why we praise Him! It was a spectacular event and we look forward to more in the future! So much more to come! We offer courtesy child care services during church services in the fellowship hall. We are here to support you.